Top 10 Best Electric Power Scooters for Kids! What are the Best Electric Powered Scooters for Children? Power scooters for kids are becoming more and more popular, since little ones also have a passion for ‘driving’ their own vehicles…. Kids scooters can be helpful for when you want to go for a 30 minute walk around your neighborhood but your kids get bored of ‘walking’…. I’m positive they are not going to complain anymore if they can instead ride their cool electric scooter for those 30 minutes with you…. It goes up to 15 mph!! It is one of the cutest power scooters for kids around! I love the ‘retro’ style and the cute flower print! The toddler scooters of course are much slower than the power scooters for older kids, but for them it will be a blast nonetheless! On this page you are going to find the best electric power scooters for little ones and not so little anymore! They will make excellent Christmas gift ideas for your kids and grand kids! *Great Razor Pocket Mod Electric Scooter Video Review by a Happy 12 Year Old Girl! 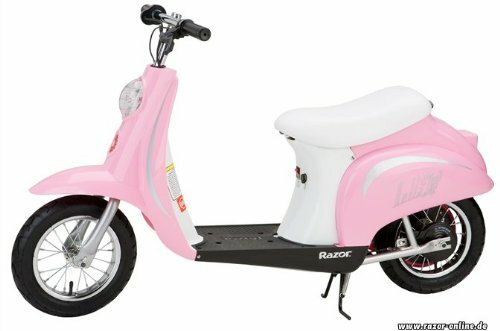 Cute Pink Power Scooter for Girls! Girls love pink and it’s no different when it comes to their electric scooter! 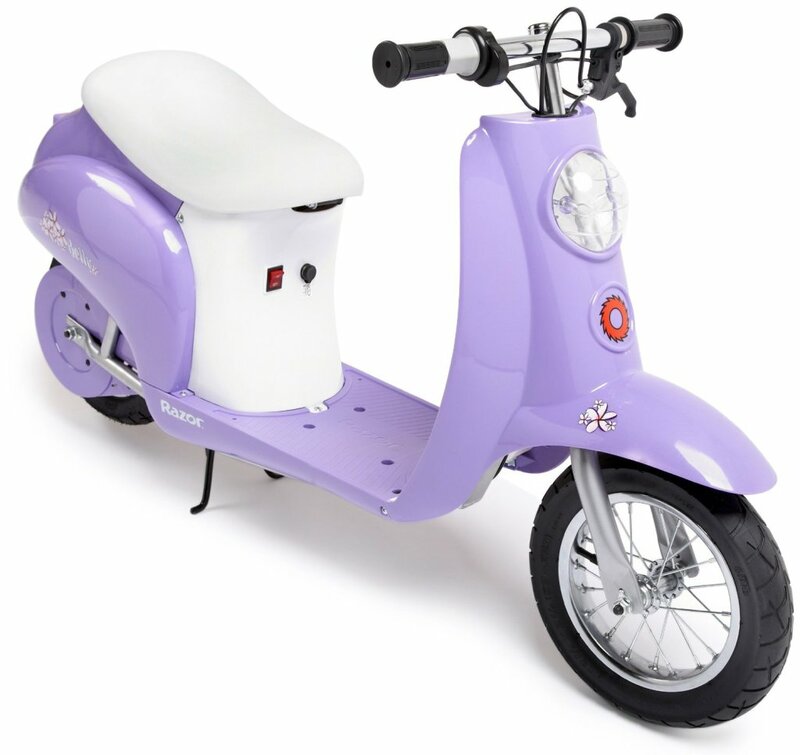 This cute European style scooter has a very strong electric motor that will carry speeds of up to 15 mph! It is a great gift for girls 10 years and older who love pink! It is very quiet and very smooth to ride! *Of course adult supervision is necessary when allowing your children to ride their scooters and always make them wear a helmet! *This 10 year old girl is definitely enjoying her birthday gift! A Razor Sweet Pea pink power Scooter! 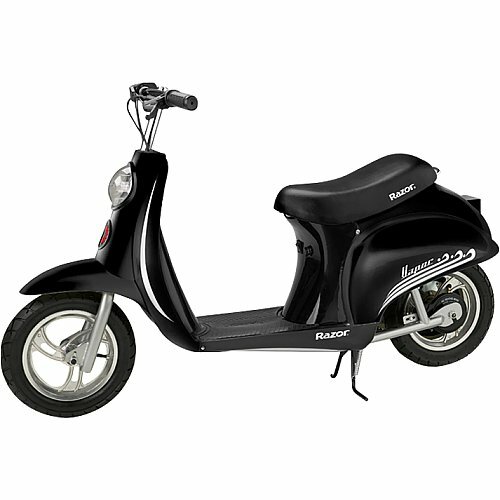 Cool Black Power Scooter for Boys and Girls Ages 11, 12 and 13 Years Old! Best Razor Pocket Mod Miniature Euro Electric Scooters for Kids! This mighty black power scooter for kids is perfect for an 11 year old boy or older! They are going to feel very ‘cool’ and important riding this awesome black scooter! Again the max. speed it reaches is 15 mph and it will travel for about one hour straight before you have to re-charge the battery. The max. riding weight is around 150 lbs and the price is pretty good! You will also get free shipping! Razor E300S Seated (or Standing) FAST Electric Scooter for Kids! 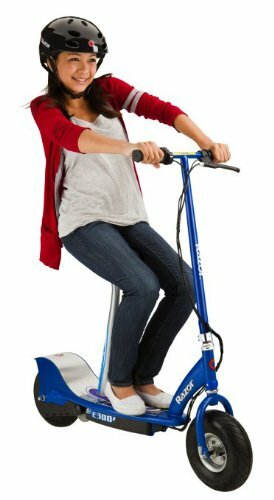 This is a fun and pretty fast Razor electric scooter for older kids, ages 12 years old and up! The maximum speed is 15 mph and it is fast! Kids love getting together and riding their cool electric scooters around the neighborhood! I see a lot of them here in Southwest Florida! It is FAST! Wow! Talk about need for speed! Razor E200 Electric Scooter for Kids and Teens! This is the Razor E200 electric scooter model. It is a little bit slower than the one above, it goes up to 12 mph and more affordable! Overall it’s an excellent electric powered scooter for kids! Razor E100 Fun Electric Scooter for 8 Year Old Kids and Up! 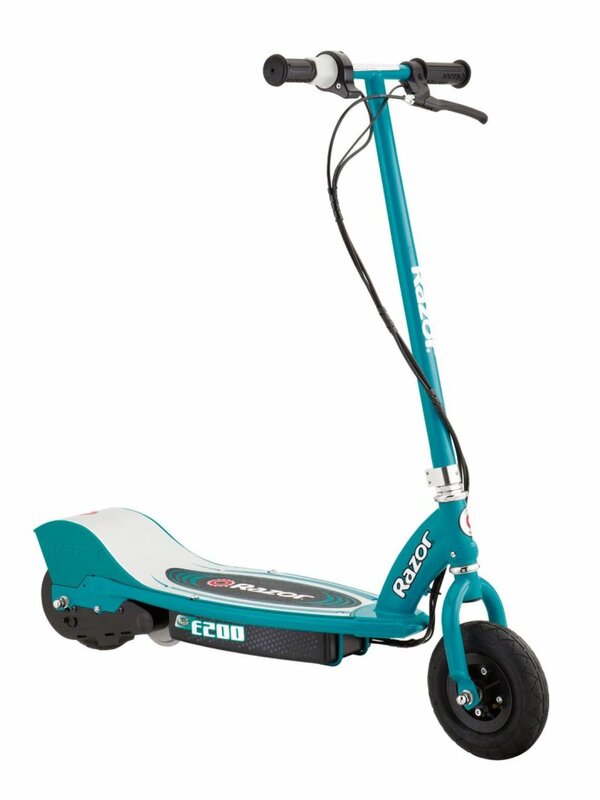 If you are looking for a fun and affordable electric scooter for your 7 or 8 year old child, I think you are going to like this Razor E100 model! It goes up to 10 mph and it’s pretty fast! 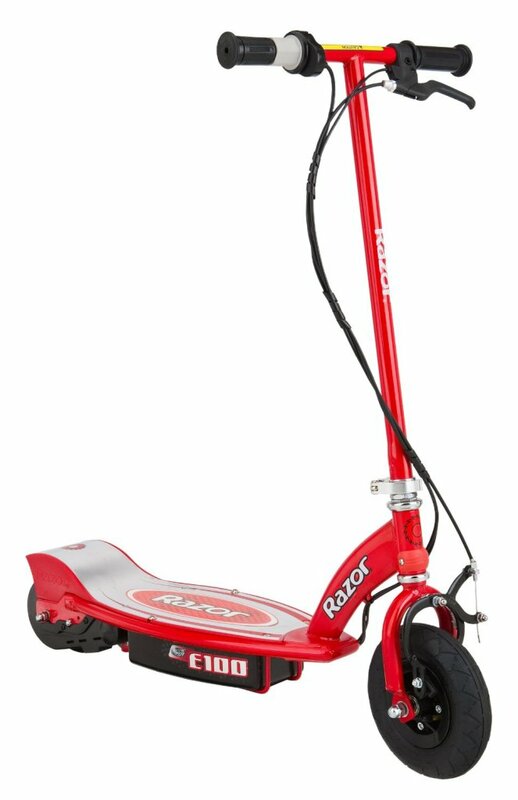 It is a sturdy and strong power scooter and it is a great fun birthday or Christmas gift idea for any 8 year old child! *This little boy is not afraid of going fast! Wow! 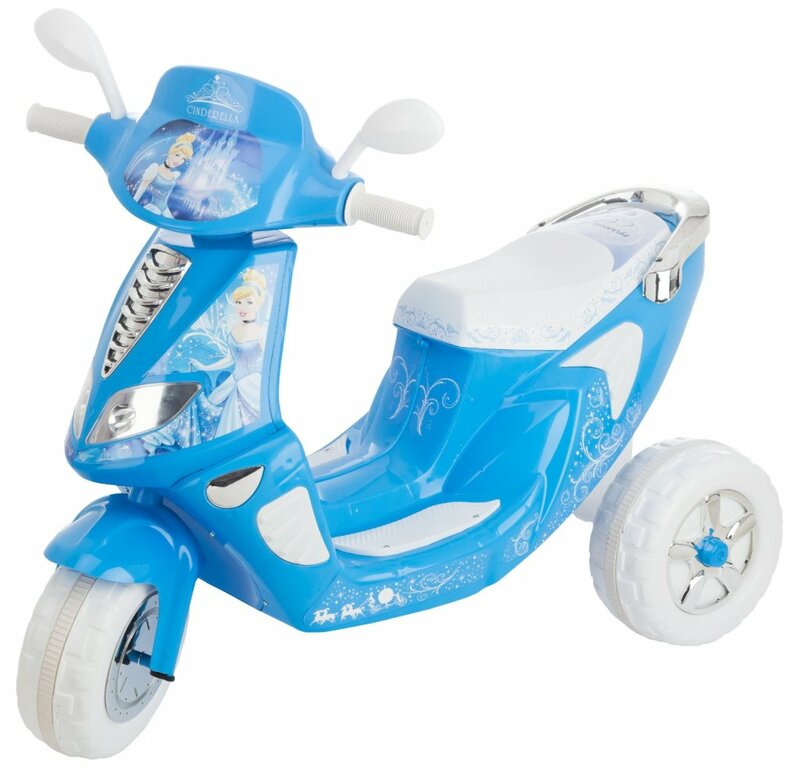 Cute Cinderella 6V Blue Scooter for Little Girls Ages 2 and 3 to 5 Years Old! The max. speed is about 2.5 mph, so it is very safe for them! It also lights up, plays music and it makes fun horn sounds as well! Great for riding inside or outside the house! 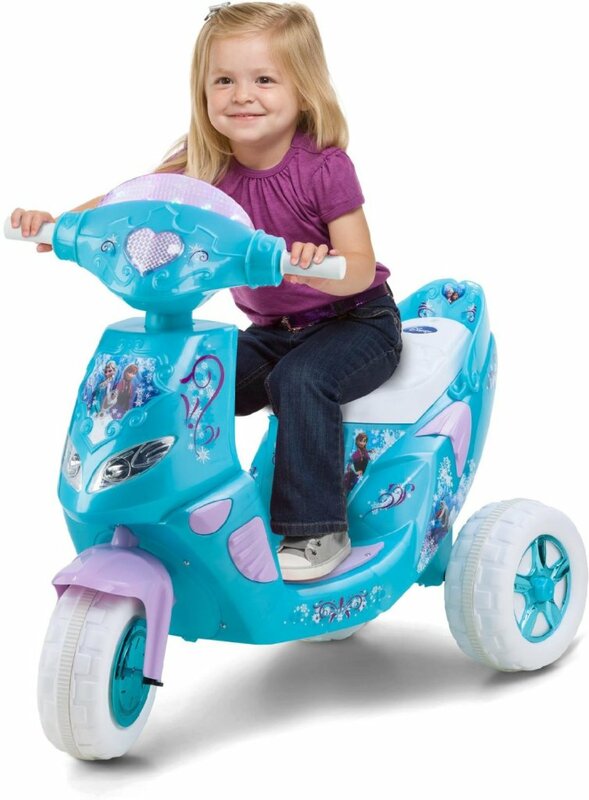 Disney Frozen Toddler Girl’s Lights & Sound Electric Powered Ride-On Scooter! It is a gorgeous Disney Frozen electric scooter for little girls!! It is the perfect power scooter for your 3 year old girl! Yes, it will also play beautiful melodies and light up! 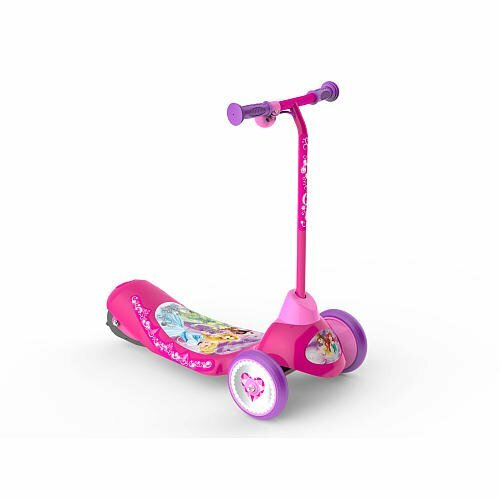 Kid Trax Cute Princess Pink Twinkling Scooter 6V Ride On! It is a sparkly pink princesses themed electric scooter! I love the cute pink and purple color combination and the adorable design! Adorable Disney Princess Electric 3-Wheel Scooter for 3 Year Old Girls! 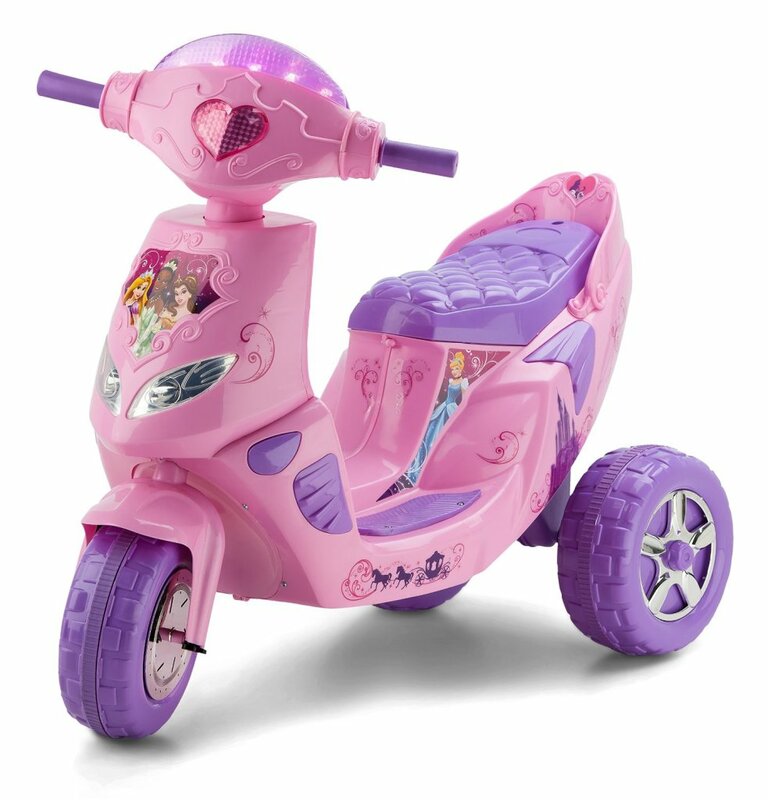 How absolutely adorable and FUN is this pink Disney princess electric scooter for 3 year old little girls? She is gonna LOVE zooming around the house on her cute scooter! Best Child Motorcycles for Sale! Best Ride-on Toys for Kids! Cutest Electric Cars for Toddlers!